XCOM has teamed up with Brisbane Airport and China Eastern Airlines to give you a chance to WIN two return airfares to Shanghai! China Eastern will begin daily direct flights between Brisbane and Shanghai in December! 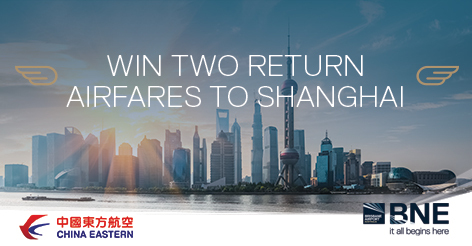 So to celebrate this new flight path, from November up until January 2017, you’ll be able to enter the competition to win two return airfares to Shanghai. XCOM has previously launched several successful campaigns with Brisbane Airport, giving entrants the chance to win trips to Amsterdam, Taiwan, Canada, Fiji and Hawaii. And there is more to come in the near future!